Golden box in heart shape. Chocolate for Valentine`s Day. Birthday gift with love. Luxury gift. Vector illustration. 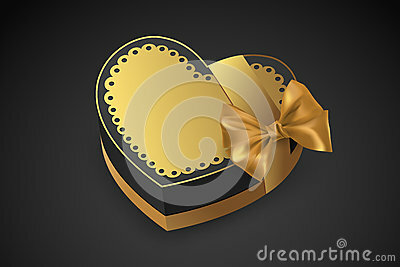 Golden box in heart shape, tied with a golden bow.